AOW Handmade attended the Peru Gift Show this past April and surveyed top exhibitors to collate industry insight and trends in the handmade market. 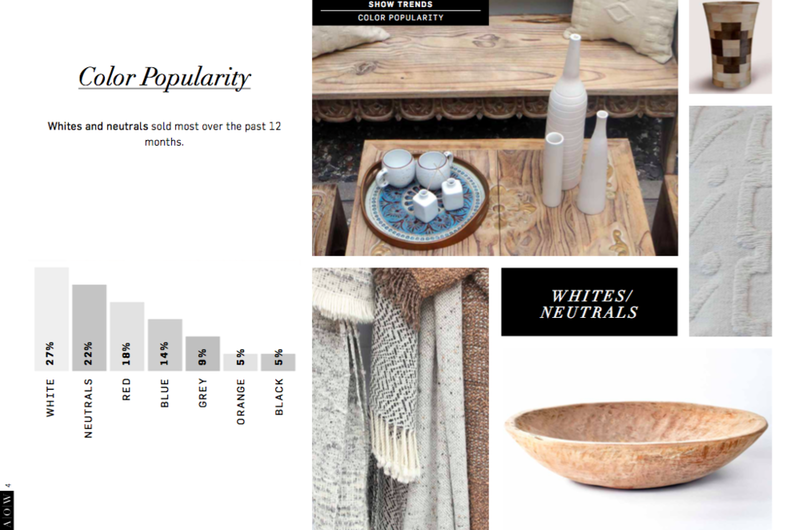 We compiled survey research on popular colors, products, designs, interviewed industry experts, and much more. 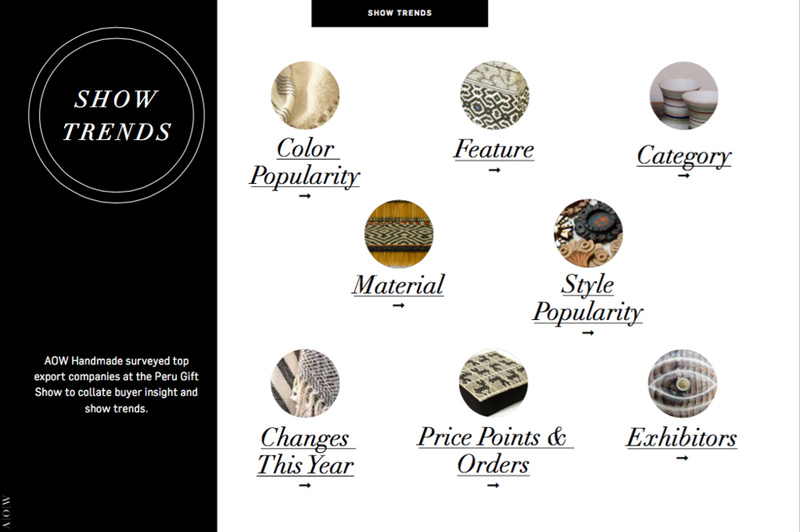 Our reports are specifically designed for designers, artisans, retailers, and wholesalers. The Peru Gift Show is the largest wholesale exhibition of gifts and décor in Peru and one of the most popular in Latin America. The show features 150+ export companies from Peru and beyond. Product categories include gift, home décor, textiles, tabletop, jewelry, and fashion accessories. 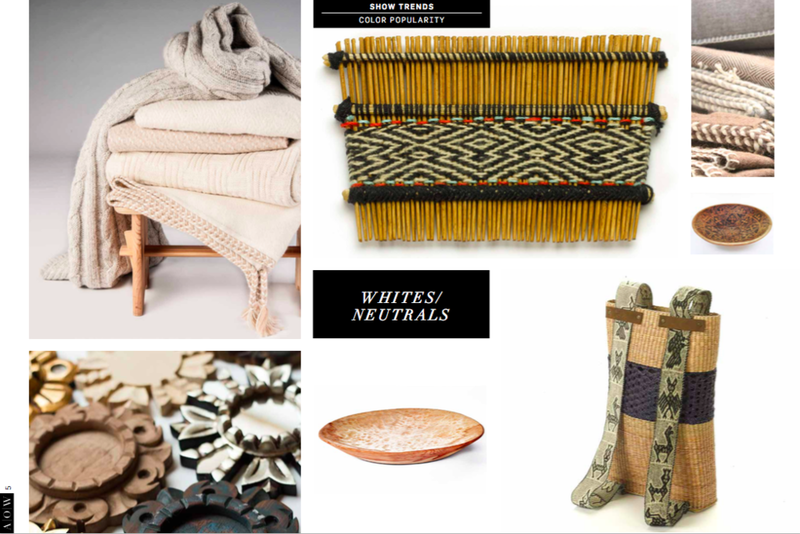 Materials represented include alpaca, cotton, wool, ceramics, gold, silver, and much more. The show's primary goal is to promote and strengthen the artisan sector in Peru by creating a selling platform for the country’s diverse array of crafts and design. 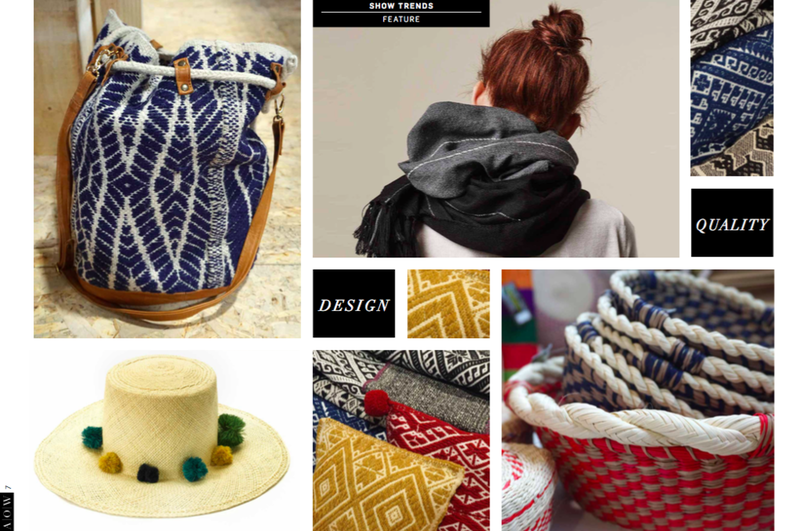 Handmade Trends: Peru/ Spring 2016 is a resource written specifically for designers, artisans, retailers, and wholesalers alike. 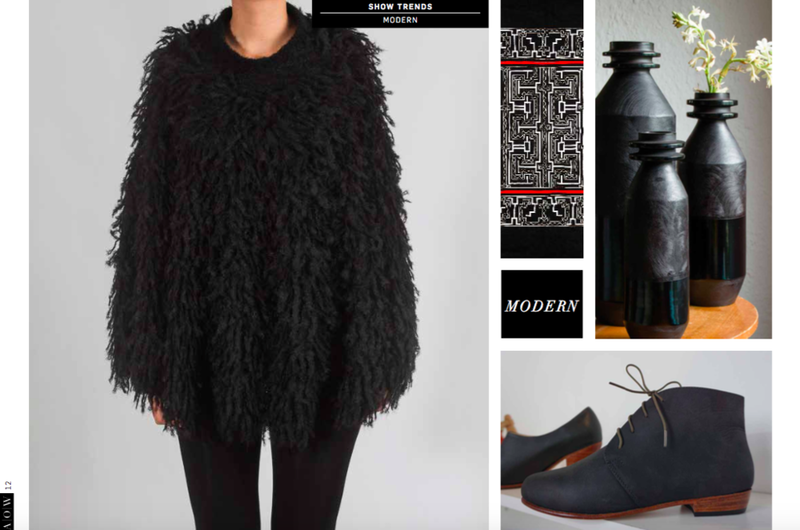 Our reports give you unique and visual insight into the handmade sector, offer insight into the handmade market, and highlight show trends. Handmade Trends: Peru/ Spring 2016 will be available as a digital download. High and low resolution files available for both digital viewing and printing. Our reports are 100% satisfaction guaranteed for 100 days. Any concerns, let us know, and we'll refund you in full.